A substantial proportion of children with high-functioning autism (HFA) or Asperger syndrome (AS) have one or more comorbid anxiety disorders. Because anxiety disorders exacerbate the social difficulties and other functional impairments caused by an autism spectrum disorder (ASD), there is a need for efficacious treatments to address the clinical needs of youth with this comorbid presentation. 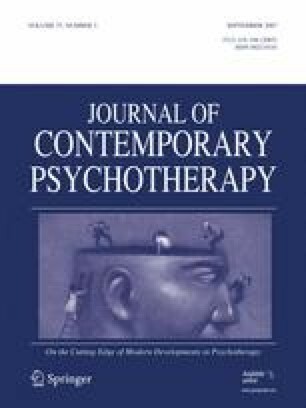 This article describes an evidence-based cognitive behavioral therapy (CBT) treatment manual enhanced to address the unique characteristics and clinical needs of children with ASD. A case study is presented in which CBT was utilized in the successful treatment of an 11-year-old girl with HFA. The intervention was effective in reducing anxiety and improving social and adaptive functioning. These findings suggest that an enhanced CBT approach may be a viable intervention for children with comorbid HFA and anxiety disorders that should be further evaluated. This article was supported by a grant from the National Institute of Mental Health (NIMH) awarded to Jeffrey J. Wood (MH075806), a grant from the Cure Autism Now Foundation awarded to Jeffrey J. Wood, and a Pilot Grant awarded to Jeffrey J. Wood by the UCLA Center for Autism Research and Treatment (CART); CART, established in 2003 as one of 8 autism centers of excellence, is funded by NIMH (U54-MH-068172; PI: Marian Sigman).